Florida City’s suburban streets are rife with citizens coming to and from work in larger city areas. They’re also more than likely packed with constant tourists from all over the United States looking to catch some time enjoying the various attractions of the Everglades and the surrounding shops. It is because of this that car accidents are a pervasive problem that many Floridians suffer with at least daily, either indirectly, or at worse case scenarios, intimately. Such incidents are not unheard of, and it is important to know what steps to take when calling the police, or when coming out of a hospital. 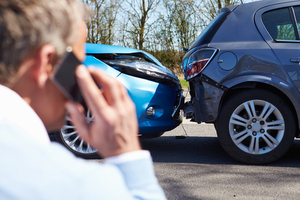 The unfortunate reality of dealing with a car accident is that you may be constantly dealing with pains. Be they physical or emotional, for one, you’ll likely end up dealing with the insurance companies that are focused on paying as little as possible. They’ll work every loophole available to not have to pay you the money you’re owed. You’ll also deal with hospital fees, or even funeral fees, should you be unfortunate enough to lose a loved one. In the field of personal injury and accidents, you can rest assured that we will do what’s necessary to get what you deserve. We carefully examine each new case individually to make sure that there is a path to move forward in your quest for fair compensation. This allows you to focus on the more important aspects of your life, such as your health and your family. Spending time trying to see if the insurance companies will keep their word in helping you is wasted effort that you could be spending getting better. Our legal team should be doing the heavy lifting, not you, as we will fight to make sure that you’re getting the medication and money necessary to see you through recovery and beyond. Once you have reached maximum medical improvement, your lawyers at the Wolfson Law Firm will work to present a demand to the insurance company, in order to negotiate a complete settlement of the case that will be satisfactory to your needs. If the insurance company fails to do the right thing, we will file a lawsuit on your behalf. The Florida City Accident Lawyers at Wolfson Law Firm serve all residents of Miami-Dade and South Florida. They do so for you and your loved ones, because they understand how much you’ve suffered already. Calling (305) 285-1115 can not only provide you with peace of mind, but also provides you with the tools necessary to see you out of this ordeal safely. Jonah Wolfson and his legal team are standing by to take your call. Mr. Wolfson himself is a bilingual Miami-Dade personal injury and wrongful death attorney that will be more than happy to answer your questions personally. They’ve done their best to serve communities including Homestead, The Florida Keys, Monroe County, Hollywood, Pembroke Pines, Fort Lauderdale, Fort Myers, Greenacres, Hialeah, Coral Way, Coral Springs, Coral Gables, Delray Beach, and many more.